I’ve been watching the West Wing again. It’s such an amazing programme. It’s obviously a preposterous liberal wet-dream, but with the current state of world politics as it is, I find that kind of thing remarkably comforting. Plus, of course, it’s beautifully written and performed. I doubt that President Trump’s staff in the White House would look anything much like this lot… but, then again, has any White House staff ever looked quite like this lot, with their good looks, talent and principles? Doubtful. 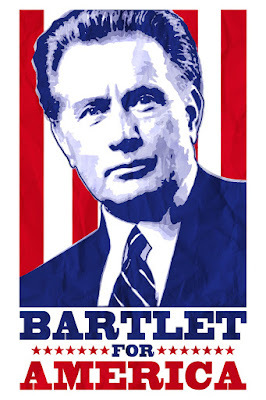 Of course, there’s one element of the plot that is resoundingly more significant for me now than it was when I first watched the show: the issue of President Bartlet’s multiple sclerosis. 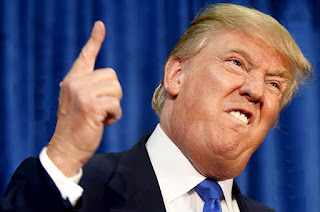 I haven’t really got far enough into the series yet (we’re just starting S2) for it to really have taken off… but already it’s there, waiting to blow up as a central issue: a major health problem that the sitting president has effectively kept totally secret from the public. I find the show’s handling of the disease fascinating (why on earth does Abbey Bartlet feel the need to disclose the MS to the anaesthetist in the hospital? Would anaesthetic work differently with relapsing-remitting MS? Does the incoming president not have to have some kind of medical on taking office, or do we rely entirely on their honesty? Please tell me that we wouldn’t just be taking Trump’s word on this)….but I also find it incredibly moving because it is now directly relevant to my personal experience. I watch Martin Sheen’s Bartlet looking tired and weighed down by his responsibilities, and I watch his wife and his chief-of-staff watching him, wondering if this is something else…. and I find it very moving because it’s so close to home. Well, not the being-leader-of-the-world thing as such… the other stuff. This is a show that often has me welling up as they shamelessly manipulate my emotions, but now I find myself emotionally connecting with the show in a way that I hadn’t really expected. I expect they’ll get lots of the details wrong, but I’m still looking forward to seeing how sensitively they handle this as the show moves forwards. (No spoilers, thanks). Or perhaps my impossibly high standards for elected officials and their staff comes from a love of the West Wing. How much Latin do you think Trump knows?